A general working plan to integrate military and civilian standards covering a number of fields and industries was adopted at a high-level meeting Tuesday. The plan specified the goals of integrating military-civilian standards in the next three to five years, including the elimination of conflicting standards and timely upgrading of outdated standards. 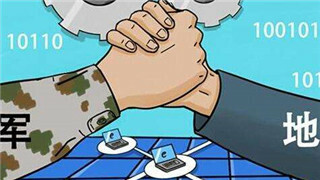 At least 60 percent of newly-introduced standards in key areas should be universal in both military and civilian sectors, said the document. Examples include the integration of standards for satellite navigation, manned space technology, and semiconductor technology. The meeting was organized by the office of the Central Commission for Integrated Military and Civilian Development, the Standardization Administration, the Equipment Development Department under the Central Military Commission, the State Administration of Science, Technology, and Industry for National Defense. A coordination mechanism between military and civilian authorities and different government agencies and fields was also established at the meeting.